Calling it “a big step in the right direction,” U.S. Ambassador to the United Nations Nikki Haley on Sunday night announced a historic reduction in the U.N. biennial operating budget. Haley said the plan calls for a $285 million cut for the 2018-19 fiscal year. 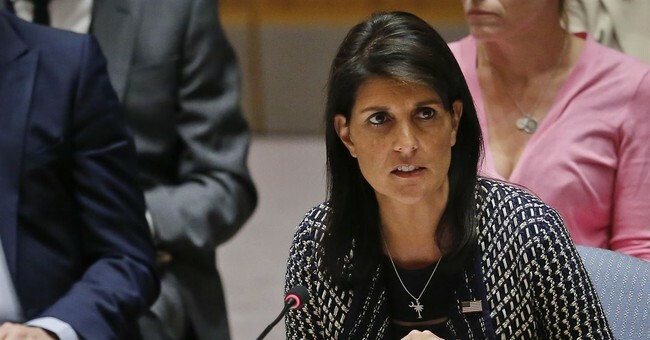 “The inefficiency and overspending of the United Nations are well known,” Haley said. “We will no longer let the generosity of the American people be taken advantage of or remain unchecked." The U.N. budget now covers a two-year period, beginning in January of an even-numbered year. The announcement comes after negotiations with the UN Secretary General, who also proposed an additional $200 million in cuts. The United States was seeking a $250 million cut to the U.N. budget for 2018-19, on top of $200 million in savings already proposed by U.N. Secretary-General Antonio Guterres, Agence France-Presse reported two weeks ago. Earlier this year, President Trump gave a speech to the UN General Assembly in New York City and called for reform of the international body.